Rochester for All discovered several settlements paid by the city while examining the city checkbook registry. We previously reported on the settlements to Rickey Bryant and Dudley Scott. Here are other settlements that have not been made public until now. Hayden Blackman was shot and killed by police in 2011. Family members had called 911 about a dispute between Blackman and his son. They claimed Blackman was retreating from officers when he was shot inside of the house. Police claimed Blackman had been armed with a knife. The case prompted protests from the community about police brutality. His mother, Roxanne Williams, received a settlement in May. McKnight called police to report a stabbing next door to her house on Pierpont St. in July 2010. She argued with an officer over crime scene tape in her yard, according to court papers. The officer arrested her and used pepper spray. McKnight was charged with obstructing governmental administration and resisting arrest. She received an adjournment in contemplation of dismissal. Court papers indicate there was a cell phone recording of the interaction with the officer. McKnight, who filed the lawsuit in 2011, received the settlement in October. Catherine Bonner was arrested by police in November 2017 when she pointed a gun through her window at officers, who had just allowed her ex-boyfriend to break into her residence by smashing the window. Charges against Bonner were dropped. Bonner’s case was settled before she filed a lawsuit. Her attorney had no comment when asked about the October settlement. Alma Lucas sued the city in 2016 after she was hit by a car driven by former Rochester police officer Christopher Brown inside the Civic Center Garage. 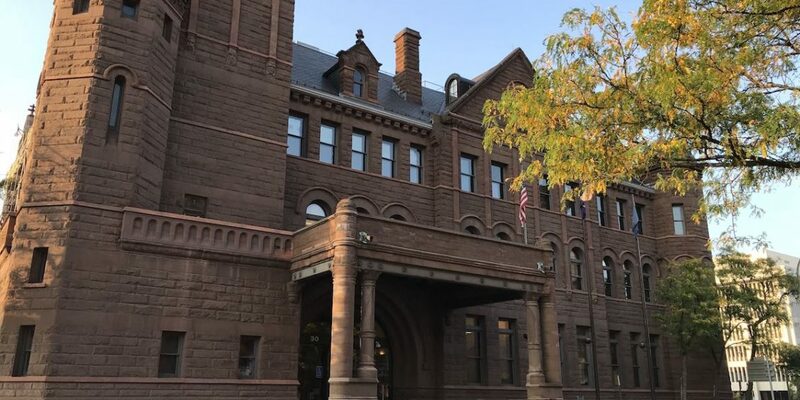 Brown pleaded guilty to leaving the scene of a personal injury accident and received an adjournment in contemplation of dismissal, which means if he stayed out of trouble for six months, the case is dismissed. Lucas received the settlement in July 2017. Alicia Pagan claimed she was handcuffed and slammed against the wall by police officers in the Rochester General Hospital emergency department shortly after hearing the news her son was shot and killed in 2015. The lawsuit was filed in January 2017 and settled this year in June.